Book Description: A college students' guide for career success, this free Open Educational Resource text focuses on major identification and career exploration. The Blueprint for Success series comprises three books for the College Success and FYE (First-Year Experience) genre. The central text, Blueprint for Success in College and Career, is designed to show how to be successful in college and in career preparation. In addition, targeted sections on Study Skills and Time Management, and Career and Decision Making are available separately as Blueprint for Success in College: Indispensable Study Skills and Time Management Strategies, and Blueprint for Success in Career Decision Making. Chapter 4: Words of Wisdom: What Do You Enjoy Studying? Blueprint for Success in College: Career Decision Making is a remix of two previously existing OER (Open Educational Resources): Foundations of Academic Success: Words of Wisdom, edited by Thomas Priester, and College Success, provided by Lumen Learning. 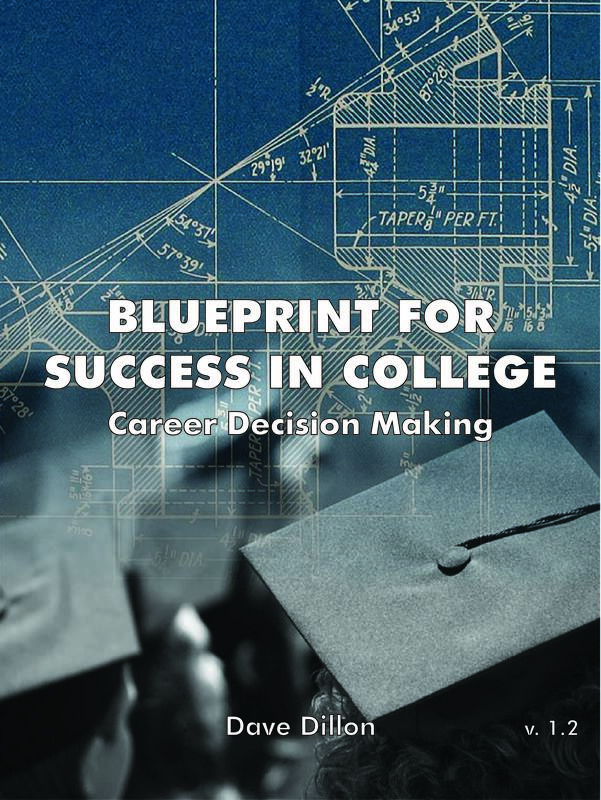 A free OER, (Open Educational Resource), Blueprint for Success in College: Career Decision Making is a students’ guide for the process of identifying a major and career. This text focuses on career exploration. Blueprint for Success in College: Career Decision Making by Dave Dillon is licensed under a Creative Commons Attribution 4.0 International License, except where otherwise noted. This work is licensed under the Creative Commons Attribution 4.0 International License, except where otherwise noted. To view a copy of this license, visit http://creativecommons.org/licenses/by/4.0/.